The Fluid ladies Bliss shape is all about extra width and larger surface area. 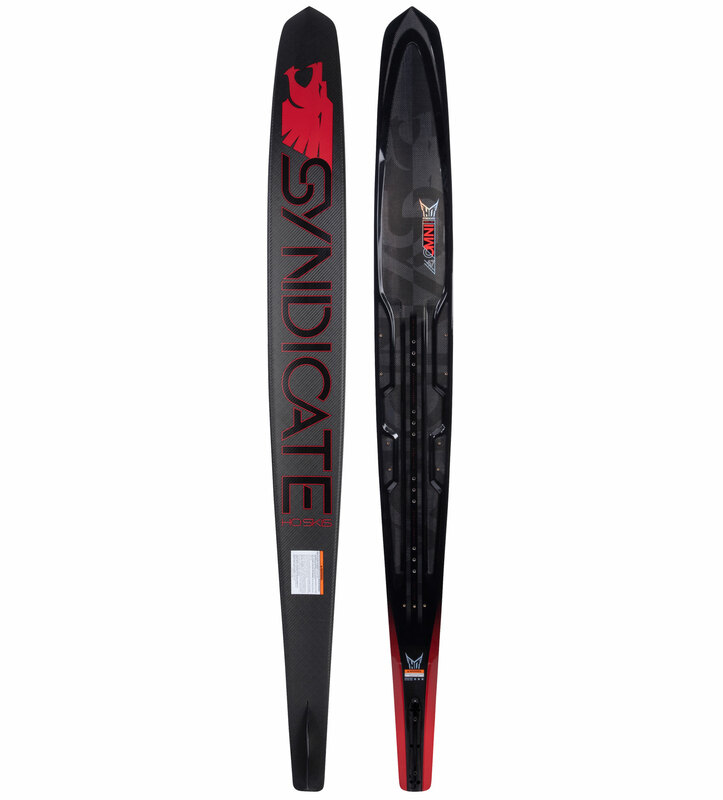 Weather you are just skiing laid back style or into smooth turns this ski will deliver. The Bliss will cruise with ease yet turn tight enough to slalom with, it makes deep water starts easier and is great skiing in any body position. 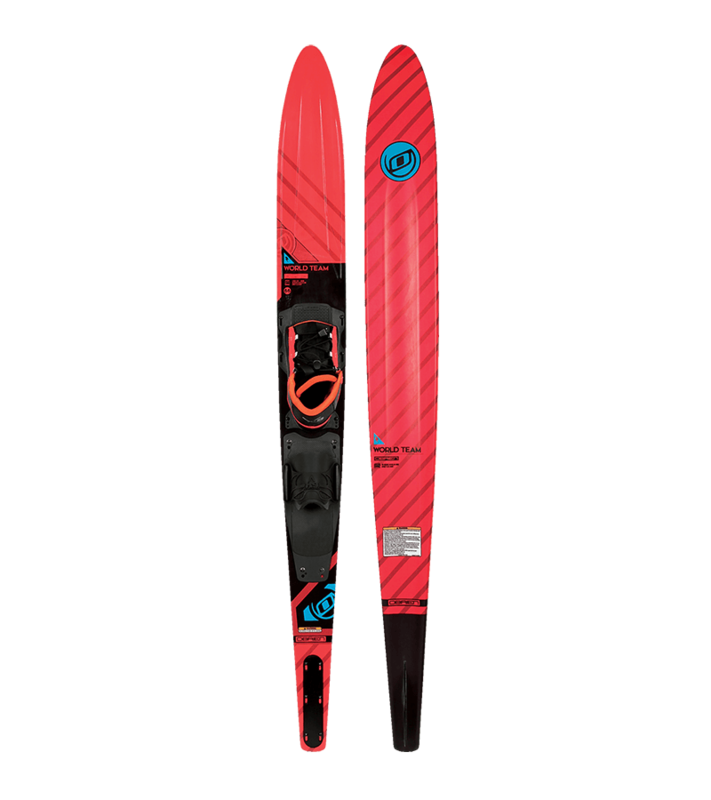 This ski has excellent stability, yet good enough for the best women skiers to enjoy. 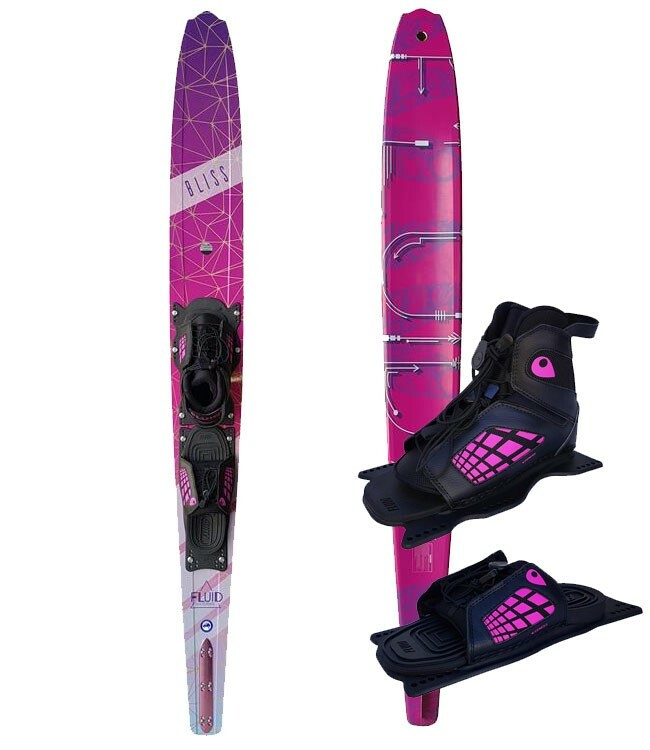 If you are not yet ready to start carving up the slalom course our ladies Bliss is the right choice for you. 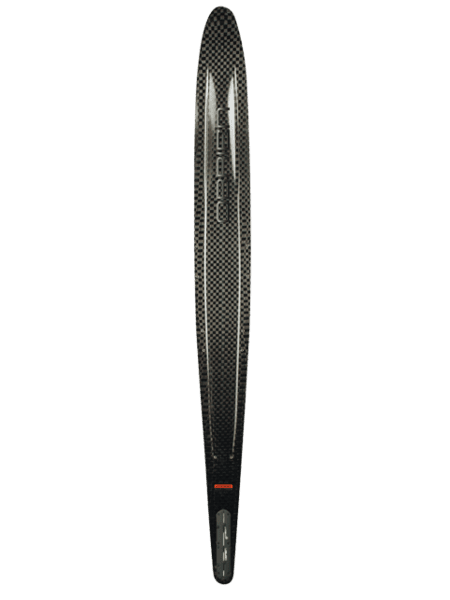 Shaped a further 0.5cm wider than the Arcadia with a concave shaped base and our Fluid stability rails (FSR) on the skis edge this ski makes for much easier deep water starts and solid predictable turns. 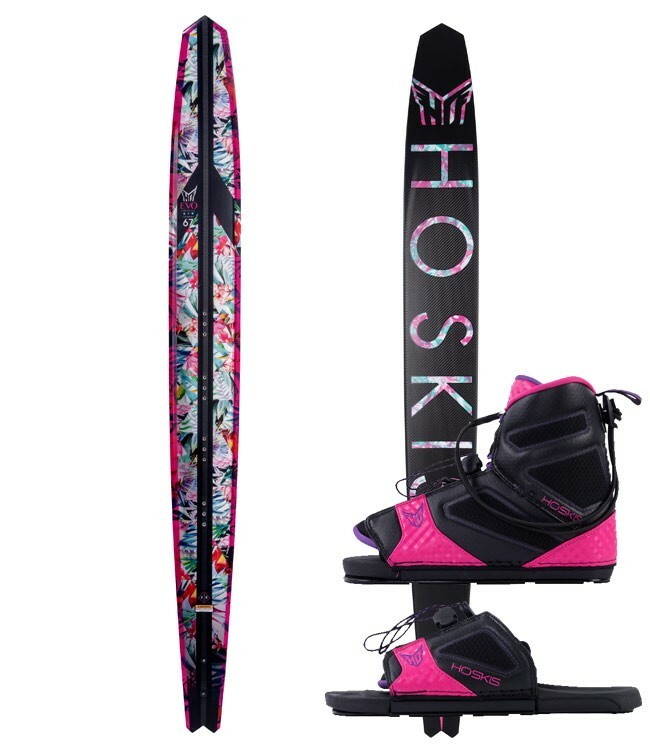 With a special lighter Fibreglass lay-up designed specifically for a ladies skiing style and Polly Urethane core that gives the ski a more smoother ride it will make any ability skier feel comfortable from the very first ski. The perfect Ladies all-round ski.